I had the extremely blessed opportunity to chat with her about her life, traditions, music, and Saturday’s sold out concert. Are you excited about your U.S. tour? What are you looking forward to the most? I always love coming to America. I feel a very strong connection with country and it brings out the best in my performances. This time of the year, around St. Patrick’s Day, is obviously very special. Although I’m not one for all of the more extreme trappings of the day it will be fantastic to celebrate in the capital. I performed Paddy’s Day on Capitol Hill a few years ago so it’s great to come back with a full show. Your work with Clannad (and subsequent successful solo career) introduced to the world on a wide scale the traditions and intricacies of Irish and Gaelic music. What is it about these musical traditions that have captured an international audience? This is a question that I am constantly being asked! If there was a precise answer or formula to the essence of Irish music it would cease to be special. But it does have distinct qualities with a universal appeal. I like to think that Irish music and songs express bittersweet emotions: optimism and cheerfulness in the face of hardship and personal loss and separation. Irish people have left the island to populate every corner of the world and their longing to be home can be absorbed by all listeners. These songs and music are painted against a backdrop of the ethereal and elemental beauty and ruggedness of Ireland – the mountains, mist, sea and forests – which lend themselves to the Celtic sound and atmosphere. Some say that our music has a spiritual (and sometimes healing) quality, which I would tend to agree with. Where does your inspiration come from these days? Give us a glimpse into how the mind of Moya works in finding and creating such cultural masterpieces. Recently, I have been moving back closer to my roots and Gaeilge language: Irish traditional and folk songs. I have been rediscovering the simple beauty of my cultural heritage and the tunes that I started off singing with Clannad. 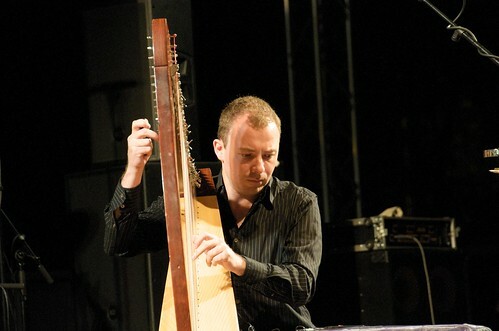 I have also been concentrating more on my harp playing and working closely with my Musical Director, the harpist Cormac De Barra. We released our Voices & Harps album last year which has been incredibly well received. I have an unusual voice so I try to source and write songs which suit my range and style. Music has obviously been a dominant and integral thread in your life. What else has been influential across the years? Music has, indeed, been central to my life. My father spent all his life working with an Irish showband and my mother taught music and directed the local choir. Clannad is where I started. We are a family and so our instincts are not just musically but also genetically shared. Like most people, my husband and kids have played a central role in my life and I hope that my faith has also affected the person I am now. I imagine céilidh were common for you growing up in County Donegal. Do you and your family still have time to enjoy (and participate) in such gatherings? How important are these to Irish culture and identity? Gatherings is a great way to describe it! There has always been spontaneity in our music and fun making. The céilidhs are less common now and, in the same way that the Dance Halls died out, it has been sad to see entertainment being replaced with televisions and electronic things. As a family we have always use our time together for glorified singsongs and story telling. This is very true for all Irish families. Their importance lies in the coming together. Often families are split up and, on those occasions when everyone travels back from the world’s reaches to come home, the sense of excitement and belonging find expression in music and dance. Looking over your career, what do you prefer most: recording solo work, collaboration projects, writing soundtracks, touring, or live performance? I can’t say I prefer any one of these over another. 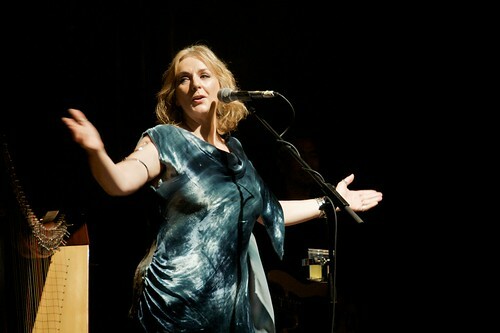 I have loved recording with Clannad over the years (incidentally, we are working on a new studio album at the moment). I have loved the freedom to explore my own solo music and allow more widespread influences to have a voice. Film music is very exciting. For instance, I loved working with Hans Zimmer on King Arthur and using my voice to really accentuate the atmosphere of the movie. But I adore being on stage – I think I really picked up my father’s gene’s here. I love engaging with an audience and having talented musicians around me who share my instincts. What is your favorite Irish instrument to play? 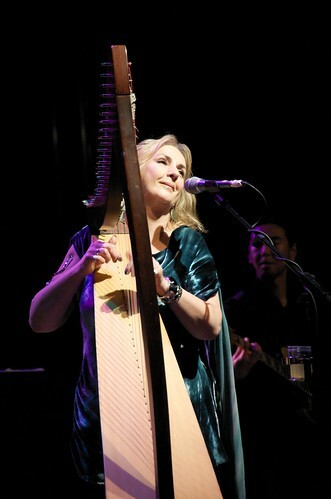 Without doubt, the Irish Harp. It is an instrument of legends. It is our national emblem and melts hearts wherever it is played. How important, culturally, is Irish/Celtic music – not just for the Irish, but to the world at large? It is, quite simply, a meeting point and the best calling card the country has internationally. Our culture is so rich and has so much to share. For a tiny little island off the coast of Europe our influence around the world has been immense. Much of this has been fueled by the sense of enjoyment and merriness associated with the music. I am passionate about my culture and want to share it with the world. 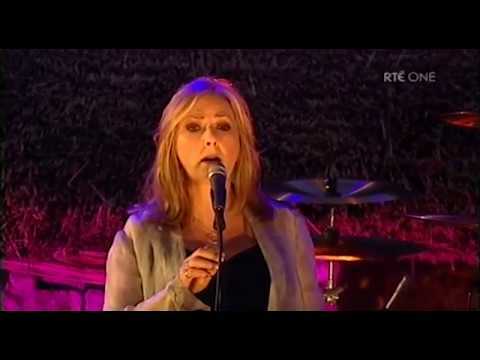 How different is a Moya Brennan concert from a typical show? What could someone who has never heard Celtic/Irish music expect at Saturday’s concert? I think my shows revolve around my voice and the vocal harmonies of my band members. You will be carried from the raw excitement of traditional jigs and reels to poignant atmosphere of the rich Celtic songs. I like to think there is a bit of something for everyone but all tinged with that bittersweet cheeriness I referred to before. What range of your work will we hear at your concert for National Geographic in DC? We intend to have a lot of fun at the National Geographic on St. Patrick’s Day. I like to include a range of songs and tunes in my set and this show will be geared towards celebrating the vibrant music of my band with harps, guitar, fiddle and bodhran… and a lot of rousing singing. I hope the audience is ready to sing too!